If you’re organising a wedding, first and foremost, many congratulations to you! It’s such an exciting time, with so many things to consider and organise. Being engaged is amazing. If you’re looking for a way to keep your guests entertained after your wedding ceremony, then a fun casino could be just the thing you’re looking for. Wedding fun casinos have become so popular over the last few years, and it’s easy to see why. A wedding casino offers an alternative form of entertainment for those guests who aren’t interested in getting up and dancing to your band or DJ – and there are usually at least a third of the guests who fit into that category. Wedding fun casinos are fun, fast-paced, easy to learn and play and best of all, anyone can play, young and old. The games are played for fun, so there’s no real gambling or money involved. We’ll provide everyone with ‘Fun Money’, a bit like monopoly money and they simply bring it up to the casino tables when they want to start playing and exchange it for casino chips to place bets with. Why Choose Harlequin for your Wedding? 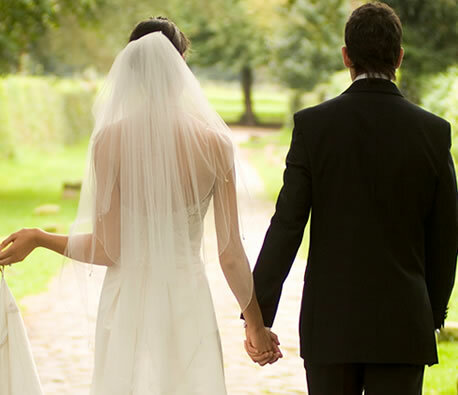 Harlequin Fun Casino are Wedding casino specialists. We are often asked “do you do many weddings?” In actual fact, about 50% of all of the fun casinos we provide are for wedding receptions. Weddings used to be very simplistic affairs, but today’s bride demands something a bit more than the norm. They know that their wedding day will be remembered for years and years to come, and so they want to make it a day to remember for everyone for all the right reasons, and often, that’s where a wedding casino comes in. It’s another way of telling your guests that you appreciate their company on your very special day, and that you want to make sure they have an amazing time. At Harlequin Fun Casino, we pride ourselves on the quality of our equipment and the friendly and professional service we offer. Time and time again, we are complimented on how luxurious and well kept our casino tables are. It’s what makes us stand out and it’s the reason we are re-booked by clients for subsequent parties, weddings and functions. 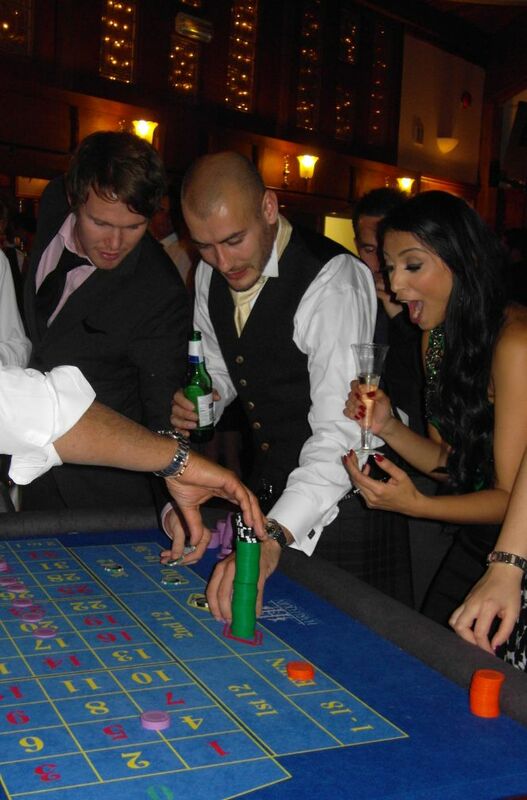 When you’re looking for a wedding casino, you’ll want to be sure that the equipment that will be supplied will be of the very highest quality, as it is a reflection of the rest of your wedding day. We promise to only ever use the very highest quality casino equipment with no rips, marks, stains or patch-jobs anywhere in sight! Our casino tables are our very best advertising, so it’s essential that they are always looking pristine and immaculate. When you book Harlequin Fun Casino for your wedding, you can be sure you’re booking the very best in quality and appearance as well as service. Wedding casinos are also a rally fantastic way to get people talking to each other, to break the ice between guests who don’t know each other very well, and to keep the atmosphere buzzing throughout your wedding reception. There’s such an exciting feeling surrounding casino tables in play, and it’s infectious! Players can’t help but get swept up in the ambience and start to feel like they’re at a real Las Vegas casino! First of all, you’ll need to decide when you’d like the casino tables to be open for your guests. You have a few options here. Alternatively, you could have the casino tables open at the evening reception alongside your band or DJ, giving your non-dancing guests something to entertain them too. (Roughly 8pm-11pm). If you’d like more information regarding prices and what’s included, please send us an enquiry using the online form below, or email us at the address at the foot of the page, telling us a little bit about what you’re planning, including where you’re having the wedding reception and when. We’ll send you all the information you’ll need and we’ll happily reserve some casino tables for you whilst you’re making your decision.